The Pittsburgh Post Gazette reported today on a disturbing ruling by a judge in Beaver County, PA. A family is suing a drilling company over a contract signed in 2005. They feel they signed the contract under false pretenses. This week they asked that the company stop felling trees on their property until it was decided if the contract was legal. The company has never paid the family a dime and until February had done nothing toward drilling on the property. However, during the last week of March, it was discovered that an endangered species, the Indiana bat, hunted in this forest, which caused the company to speed up its activity. Seems the U.S. Fish and Wildlife forbids clearing of land from April 1 to November 1 during the species’ hunting season. That’s the rule, but the agency’s fact sheet on the bat recommends against timbering in their habitat. “Once as plentiful as the passenger pigeon, these little flying mammals are rapidly falling toward extinction,” the fact sheet states. Even though there is a pending lawsuit in Common Pleas court against the legality of the original contract signed by this family in 2005, a federal judge went ahead on March 30 and said the felling of the forest could continue. On March 31, Chesapeake Apalachia, a marcellus shale drilling company, worked against the clock to take down every last tree in the bat’s habitat before the midnight hour struck. Reports said they finished in plenty of time. And the biggest irony of all? The whole operation could get shut down in the Common Pleas court. The habitat will have been horribly destroyed for naught. How could this judge ever think he had the right to allow the deforestation to continue? Nobody loses more than the Indiana bat in this fight. And it didn’t even get its day in court. We all want power. Today, our lives depend heavily on power. Try going a day without using it. We want it cheap and easy, but we’d rather not know its dirty little secrets. For many decades, coal ruled as the energy source of choice for powering up the power plants across the nation. Thomas Edison started it all in New Jersey in 1906. Coal was plentiful and virtually free. Who cared that the process of bringing it up out of the earth was deadly? Who knew the emissions from the coal-powered plants were killing our atmosphere with carbon dioxide emissions? We couldn’t see it; but we could see to read more clearly at night. Coal continued as the cheapest way to bring light to our lives up until the past few years, despite the cost in human lives to do so. 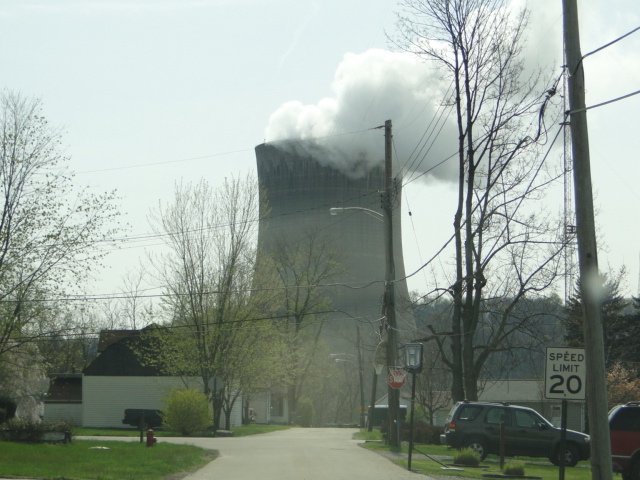 Nuclear energy took a hit with the Three Mile Island mess and Chernobyl in Russia. But in the past decade a renaissance of sorts began taking place in the minds of folks who wondered if nuclear really wasn’t safer than we thought. Then with the meltdown in Japan after the tsunami, that renaissance almost screeched to a halt. It took something else to completely hurl it off the tracks: the cost of natural gas. Natural gas prices are at their lowest in a decade, even cheaper than coal. But how much do we know about the methods used to bring that stuff up out of the ground? Because it’s cheap and profitable, fracking continues. However, a few weeks ago the Sierra Club reversed its position on supporting the drilling of natural gas as a safe alternative for energy. What impact that will have is uncertain because we don’t want to be inconvenienced by not being able to power up our computers or run our electric lawn mower. The EPA has brought forth a proposal to limit emissions from electrical generations up to no more than 1,000 lbs. of carbon dioxide for every megawatt produced. Current coal plants, which will not be effected by this proposal should it become law, produce 1,800 lbs. per megawatt. Natural gas-fired power plants can meet this limit. Let’s just all take a moment and breath while we can. Power from oil, natural gas, and coal provide us with the energy to fuel 90 percent of our horsepower. It does it for us behind the scenes quietly and relatively cheaply. And until human lives are lost, we don’t even think about it. Then we’re outraged as we watch CNN on our big screen TVs as the air conditioner keeps us cool. According to Robert Bryce in Power Hungry – The Myths of “Green” Energy and the Real Fuels of the Future, renewable energy is just not up to the challenge of giving us the power we demand. And the more I read, the less I believe renewable energy will ever be able to do the job at the level we live today. The power plants and the fuels lighting up our lives can do the job, but at what cost to us? 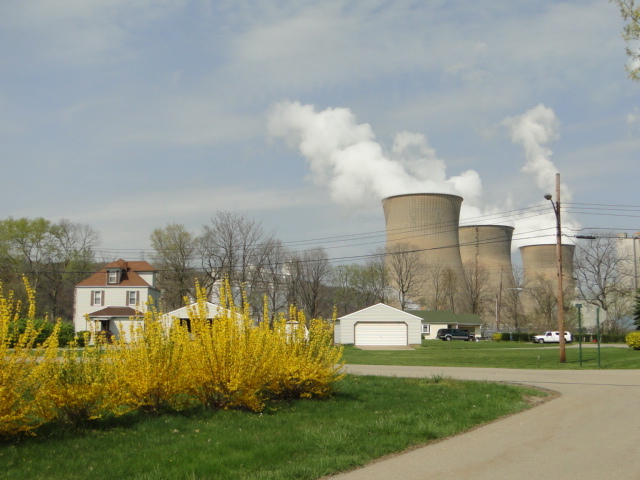 All I can do here in my little world, sitting within miles of a nuclear power plant and a coal-fired power plant, is to live a conscious life and do my part to lessen my dependence on power. But first let me post this to my blog after I’ve heated up my coffee in the microwave. And then I’ll turn out the lights. Sometimes the kindest intentions can end in the cruelest results. As a public relations director with a state wildlife agency, I often fielded calls at all times of the day and night from residents. I asked what the bear was doing. I advised her that if she wanted to keep bears out of the yard, she would need to remove all sources of food. “Bears will take the easiest route to fill up,” I said. “But I’m feeding the deer, not the bears,” she said. And then I launched into all the reasons why wildlife should be left alone to forage for their own food in the woods. Bringing wildlife into residential situations with humans is dangerous for both animals and the people. When wildlife loses its natural fear of humans, its chances increase dramatically for negative encounters with vehicles and other means humans use to control animals. She didn’t seem quite convinced, but told me she would try taking down the deer feeder, even though she didn’t see the harm in having Bambi and his folks over for a meal. Another time I was working at the agency’s state fair exhibit where a captured panther was on display. The wild animal had been hit by a vehicle and rehabilitated but not fully enough for it to be released back into the wild. The agency brought it out for public events as an educational tool on endangered species. A middle-aged couple approached the enclosure, and we began talking about the efforts to save the panther from extinction. Even though it was highly unlikely they saw a panther because their numbers are so few, and they are rarely seen in the wild, I still went into my pitch about the dangers of feeding them. Even the mention of it being against federal law under the Endangered Species Act did little to dissuade her from her determination to help the skinny panther survive in Florida. Recently, we took a trip to the Florida Keys. 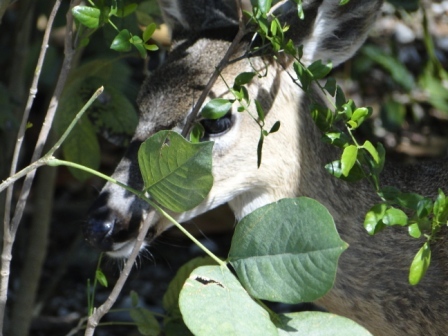 We visited No Name Key where the Key Deer live. They also are a highly endangered species because of human encroachment, vehicular accidents and limited habitat – they only live in one small area of the Keys. Signs are posted all over about speed limit laws and warnings about not feeding the deer. But when you drive down the road of the Key, you see the deer come close to the road oblivious to the vehicles driving there. We passed a couple on a stopped motorcycle who we’d met a few minutes earlier at the No Name Pub. A Key deer approached them, and the woman sat on the back of the bike with her hand held out with potato chips in her palm. The deer approached and ate from her hand, while the man snapped photos. I should have told my husband to stop the car so I could talk to them, but I didn’t. We drove on, and I’ve thought about that moment every day since. Would I have been able to convince them that their momentary pleasure in having that beautiful animal eat out of her hand might result one day in the death of that very same deer? I’ll never know. I do know the politeness I tried to show those tourists may not be so kind in the end, at least to the “cute” little endangered deer. It’s time I came clean with one of my secret activities that even my husband doesn’t know about until now. I go to the mall once a week, not to shop but to watch. I squirt soy sauce on my rice and squeeze hot mustard out of a little plastic tube onto my eggroll. I grab my fortune cookie from a pile in a basket next to the condiments and head to a table on the edge of the food court so I can sit facing all the other tables. I pull a book from my purse, but I don’t read much because I’ve really come to listen and watch. Grandparents tend toddlers at a few tables. Mostly it’s grandmothers, but today both a grandma and grandpa sat with two small children with sub sandwiches and chips in front of them. Before tearing into the wrapping around the food, all four bowed their heads and prayed. Three teenagers sat next to me eating pizza. They talked occasionally, but their eyes did not connect across the table because all three were busy texting other people. An elderly man sat alone at a table facing me. He ate his burger slowly as he stared out of the table without focus. I tried to keep my eyes on my book and away from his expression of morose. All of a sudden that expression changed and a sparkle nearly jumped out from his eye onto his French fries. I followed his gaze to an elderly heavy set woman wearing a red shirt and black apron. She’s holding a broom and sweeping debris from the floor into a dust bin. He said something to her that I couldn’t hear. It doesn’t matter. She smiled, and he picked up his burger, now smiling. They could be strangers flirting or a married couple together for decades. But what transpired between them was pure love. The grandparents and their charges put their garbage in the trash. The teenagers pushed back their chairs to leave with pizza box intact upon the table. And the gentleman in front of me continued to sit at the table long after he finished his burger watching the woman sweeping the floor. I turned to my fortune cookie and decided it was time to read it. “The eyes believe themselves; the ears believe other people,” I read. 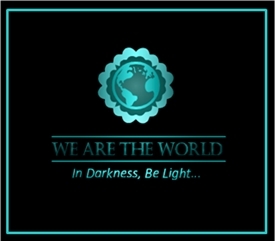 In those around us, we see love, hate, happiness, unhappiness, peace, turmoil, courage, fear. No matter the words we spout, and the words landing on us, what we see with the blinders removed reveals more about the human condition than words exchanged over cell phones at the mall. I could stay home when the urge hits me to go out into the world to see and save $4.99. I could turn on the television and watch the Real Housewives of Beverly Hills. Now that’s something to see, although the words not to be believed. My husband bends over the soil, gently poking his onion seedlings into the ground. His concentration on the task rivals the greatest of Zen masters. He’s in a race to beat the rain hanging heavy in the dusk of day. Birds swoop low to the recently filled feeders. I imagine they are stocking up before the storm. Soon, when the tenderest of plants go in the ground, the bird feeders will disappear to the garage until October. 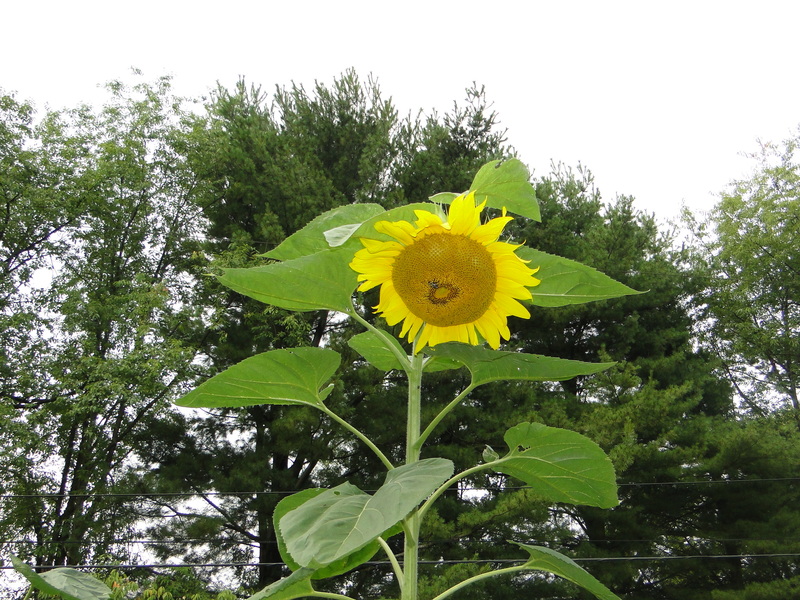 The birds will still come to the trees in our yard, and later in the summer, they will feast on the seeds of our 12-foot tall sunflower plants. We have a new addition to our garden here in the hilltops of western Pennsylvania high above the Ohio River. 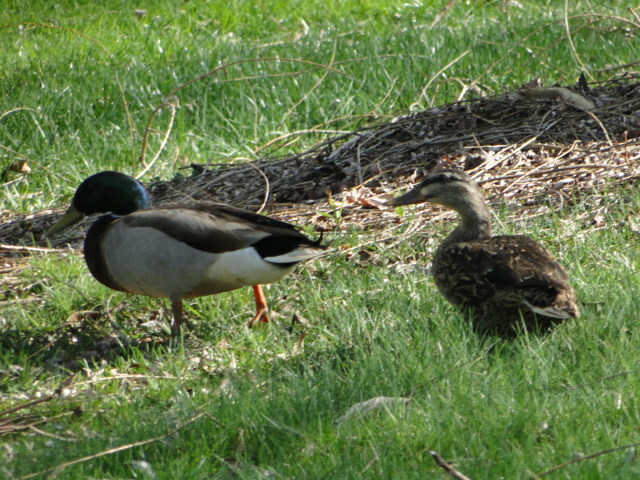 A mallard duck couple escaped from the menagerie at the farm across the street and waddled over to our place. The two lovebirds sit in the grass just beyond the patio or stroll the grounds poking for bugs and dropped bird seeds. They walk together, with the larger and more colorful male always standing guard over the brown, black and white speckled female. The shiny dark green head of the male dips quickly for a seed before coming back to stand erect over his mate’s lowered pecking head. Peace settles over the garden as a storm moves its way from the west. “I planted them all,” my husband says as he unbends from the ground, his hands black from the soil he nurtured the day before with sand and mushroom manure. Later, the rain gently fell on the onions, while the storm never quite materialized. The ducks retreat to a spot beneath the deck in our yard, and I go inside to prepare dinner for my gardener.